Everyone who drinks wine thinks they have come across that perfect pairing (maybe a few perfect pairings) but none can top this! 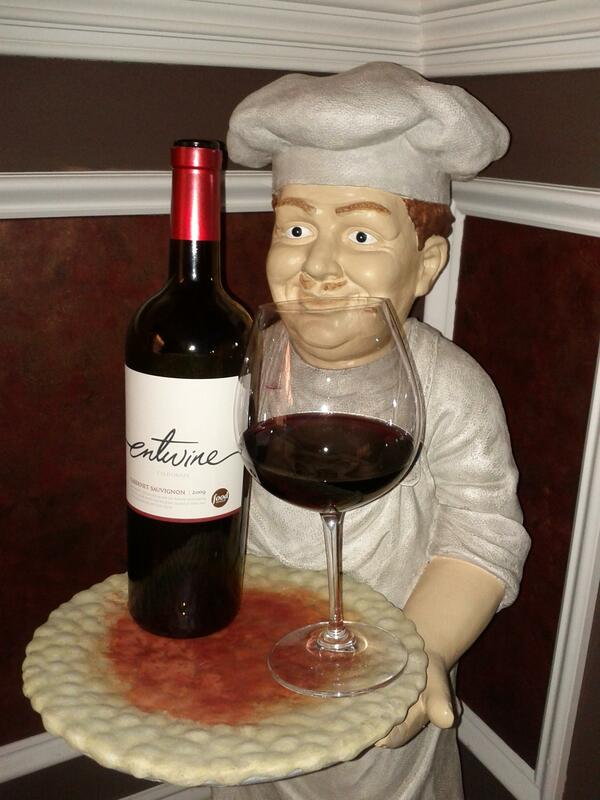 Food Network has paired up with Karl Wente from Wente Vineyards to create their own wine label, entwine. Entwine, defined as winding or twisting two things together is the perfect name for this great new venture for the Food Network as they wind together their successes with great chefs and food with wine. This logical step was the result of their more than 100 million loyal viewers who want to learn more about wine. The Food Network is where I started my education on wine. I used to watch Simply Wine with Andrea Immer Robinson and Napa Style with Michael Chiarello EVERY Sunday. Both of these shows have since gone off the air and Food Network no longer offers a wine show to help the novice pursue his or her wine passion. The new entwine wines should debut today with the 2009 vintage in four varietals: Pinot Grigio, Chardonnay, Merlot and Cabernet Sauvignon. Being one of the fortunate people who got to attend the Wine Blogger’s Conference (#wbc11) in Charlottesville, VA last week, I had the pleasure of tasting and pairing these wines at a session Sunday morning just before the conference broke up. Not to take away from any of these wines, as the Red Wine Diva, my favorite was the Cabernet Sauvignon. This wine is a deep plum color with a rich jammy taste, very pleasing on the palate with a nice long finish.